It has become too easy of late to be rude about Alain de Botton. His banal aphoristic “insights” and homilies on Twitter, his efforts to turn the media away from “meanness” (news should provide moral uplift and teach us how to be better people), his plea for museums to emulate churches by replacing their “bland captions” with a set of moral “commands”, thereby using the art in their collections to make us “good and wise and kind”, have all begun to pall somewhat. When did the playful essayist become so cloyingly dumb? And please, before I say another word, do let’s stop calling him a philosopher. He’s a businessman and a writer whose pop-psych, mind-body-spirit essays make Paulo Coelho look like Dostoevsky. He’s also a writer who thinks Plato was the original self-help guru, for it was the Greek philosopher’s big idea, according to a bizarre Alain tweet – which he subsequently deleted because it was too dumb even for his own timeline – that the wise should be rewarded with fame and elevated status because even the clever need to feel wanted. Naturally, this must have been exactly what Plato was thinking when he introduced us to the philosopher-kings of The Republic. It wasn’t about the running of an ideal state (totalitarian, as we might understand it today), but how best to ensure self-fulfilment for eggheads, that tiresome class of person who can beat you at a pub quiz but whose thoughts and insights are so trite and banal that you wouldn’t want to prop up a bar with them afterwards. It also says rather more about de Botton, who seems to dwell in the shadow-cave of delusion, than it does about Plato. All this would be easy to ignore, except that his latest book Art as Therapy, co-written with art historian John Armstrong, now has a wretched afterlife in a museum. And it’s not just any old provincial museum, but the Rijksmuseum. This important and scholarly institution should frankly be embarrassed. From April to September this year we’ll be able to visit its world-class collection of medieval art, Dutch Golden Age paintings and 20th-century artefacts and find de Botton’s anodyne thoughts, in their utterly uninsightful, depressingly reductionist therapeutic guise, accompanying not only the works on display, but items in the shop, the café, the cloakroom and the entrance. You see, de Botton thinks that museums and art galleries are getting it all wrong. Every day, ‘honest, upright citizens leave highly respected museums and exhibitions feeling underwhelmed’. Rather as they once entered churches to find God, they now enter museums to find ‘better versions of themselves’. And since it’s not actually the art we want but deliverance, the museums are consistently failing to deliver. 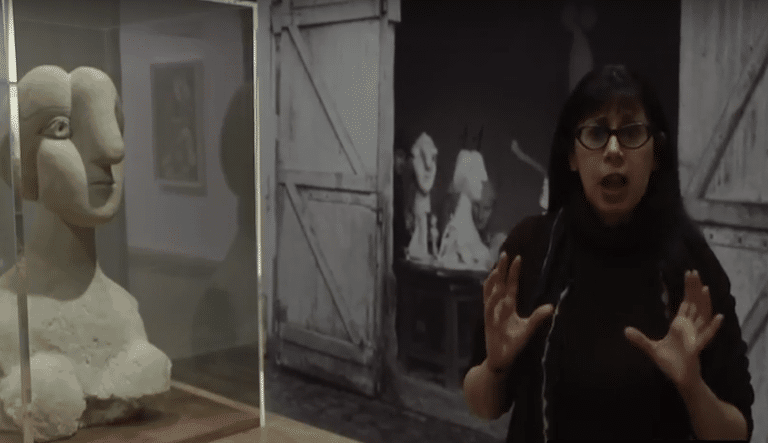 So what could be better than that museums reframe the paintings on display as if they were prescriptions for specific ‘psychological frailties’ (everything from poor memory to pessimism to a broken heart). In other words, art would be better viewed as an instrumental tool through which our broken psyches might be healed. So, if Alain ruled the world – let’s say he were one of Plato’s philosopher-kings (never mind that Plato distrusted art and wished to banish it) – museum captions would offer more than bland, neutral facts like name and date, but moral instructions ‘appropriate’ to the work of art, prompting us to, for example, ‘remember to be patient’. Or, as a writer on the New York Times amusingly suggested when reviewing de Botton and Armstrong’s book, Jasper Johns’s Drawer, in which a drawer is embedded in a canvas, might be accompanied by the caption, ‘Open yourself to new experiences’, or worse, ‘Search within’. The parody is pretty close to what’s actually on offer. It seems to me that de Botton has very little idea about how art might indeed provide not only solace but impart knowledge and self-knowledge. It seems that he has very little idea as to how such an interaction – subjective and unpredictable as it often is – takes place. 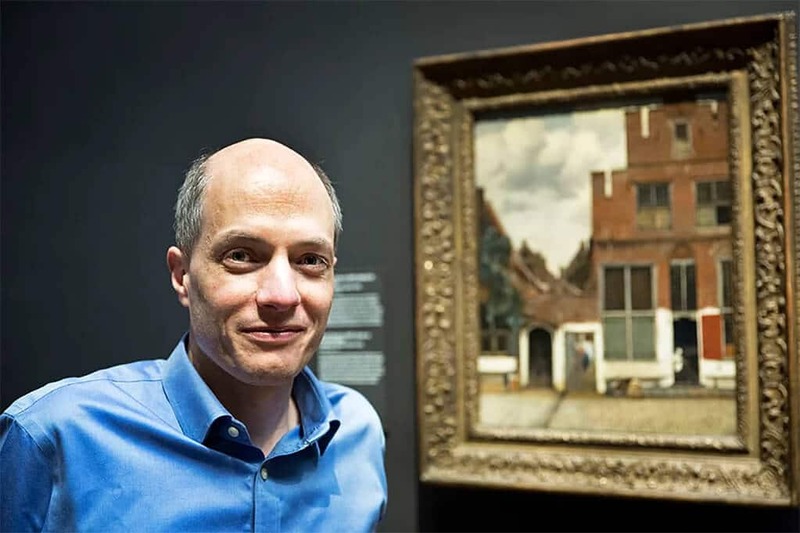 Not only does de Botton have a rather depressing art-by-numbers approach to his own methodology, but he imagines that art and complex emotions can be viewed in a simplistic way too. He seems to forget that the power of art has little to do with any straightforward sense of the narrative content of a work, but resides in formal relationships. It’s like looking to the words in a Bach oratorio rather than to the structure of the music to try to understand why it so profoundly moves us. I’m not sure whether de Botton is being merely stupid or simply patronising. This article first appeared in The Spectator on 19 March, 2014.